Tailing dry row is a new tailing disposal technology which is gradually emerging in China in recent years. It refers to the tailing slurry exported by the beneficiation process after multi-stage concentration and then treated by high-efficiency dewatering equipment such as dewatering sieve to form slag with small water content, easy to settle and solidify, and use the site to pile up. The slag can be transported to a fixed site for dry stacking. 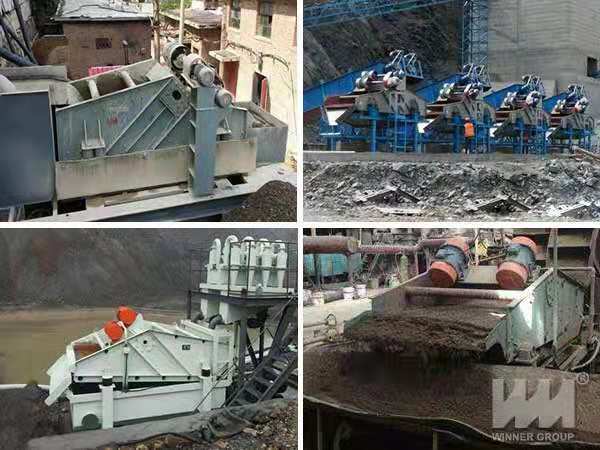 Tailing dewatering sieve is well received by mining industry because of its good dewatering effect and wide range of application. Tailing dewatering sieve can concentrate and dehydrate tailing in concentrator to achieve the purpose of tailing dry heap, which can reduce environmental pollution. It is the necessary equipment for implementing green mines. 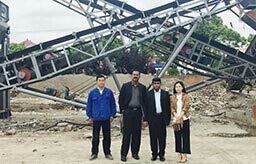 The tailing dewatering screen mainly reduces the water content of tailing after the dry row by concentrating and dewatering the tailing, and then further recovering the useful resources of the tailing, improving the recovery and utilization rate of tailing resources, and solving the tailing of the traditional tailing. The environmental pollution caused by sand and the problem of occupying a large amount of land further reduce the pollution to the environment.